Mistletoe Kisses Sentiments | Pink Petticoat: Simple ideas and inspiration using Pink Petticoat Digitals. 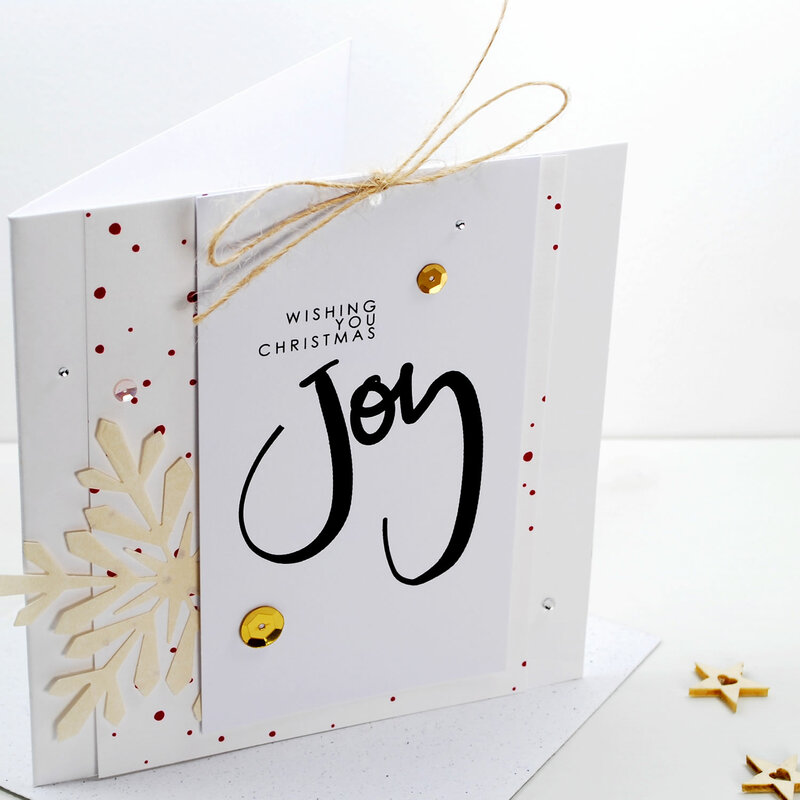 For Card Makers. 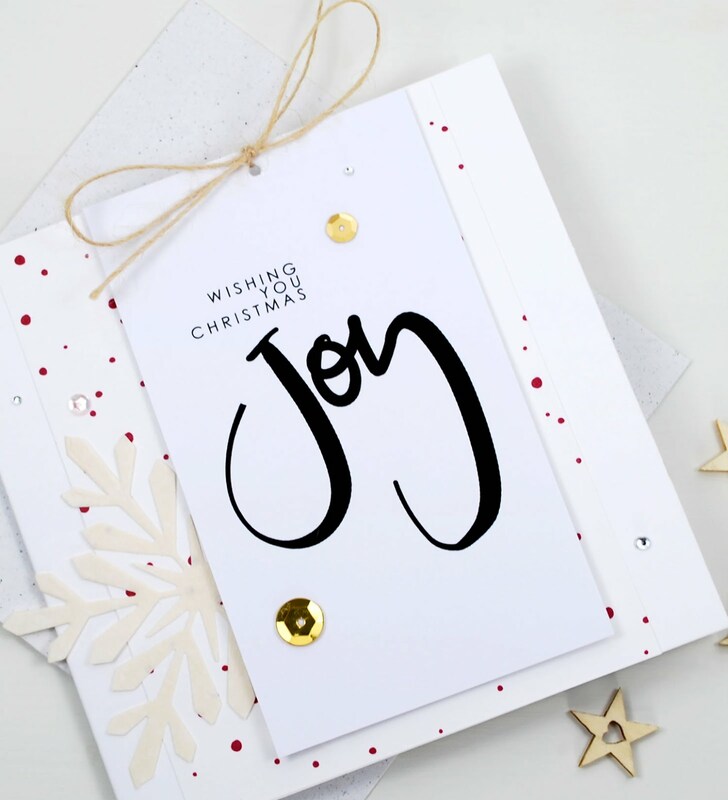 - 12 Christmas-themed sentiments in a selection of hand-lettered typeface, and hand-drawn elements, in a mixed style. - ready for you to cut around or punch to size. 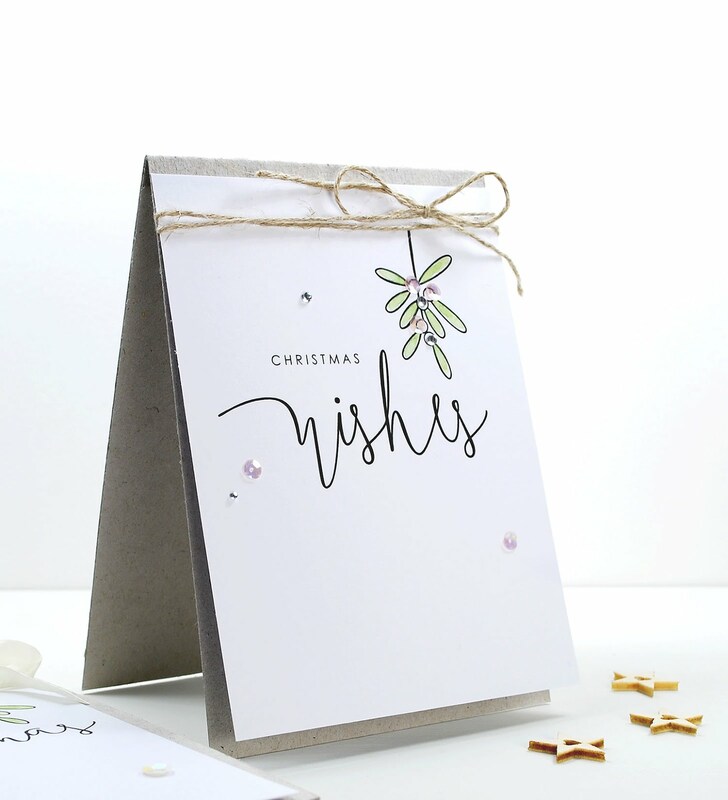 You can find 'Mistletoe Kisses' Sentiments *here* in the Boutique. 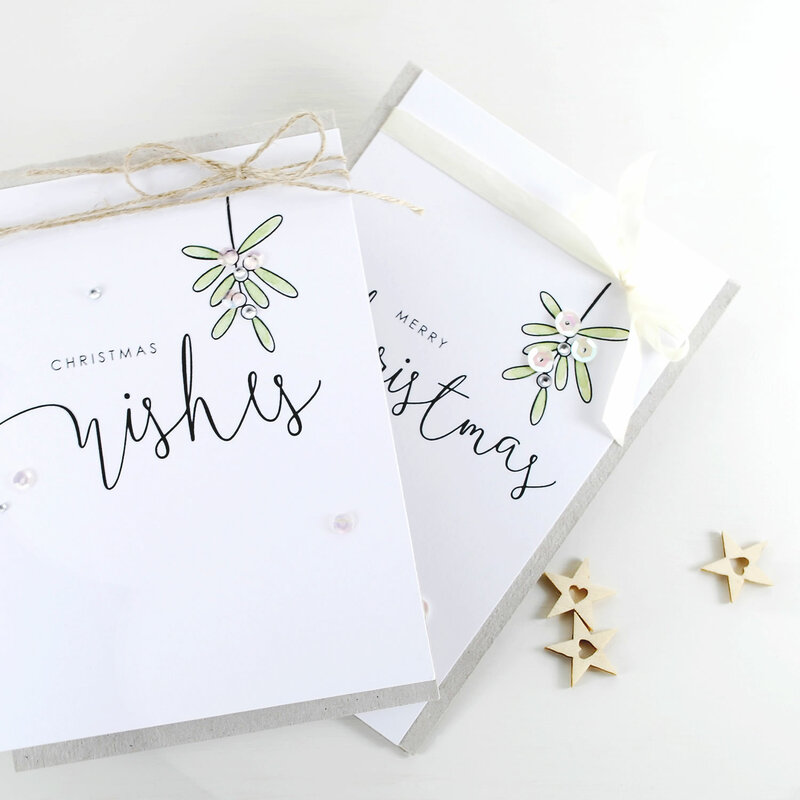 Sentiments: 'Mistletoe Kisses' Sentiments printed onto Smooth White Card & finished lightly with watercolour paints. Small Sequins & Crystals, Natural Linen Twine. Small Sequins & Crystals, Natural Kraft Twine.